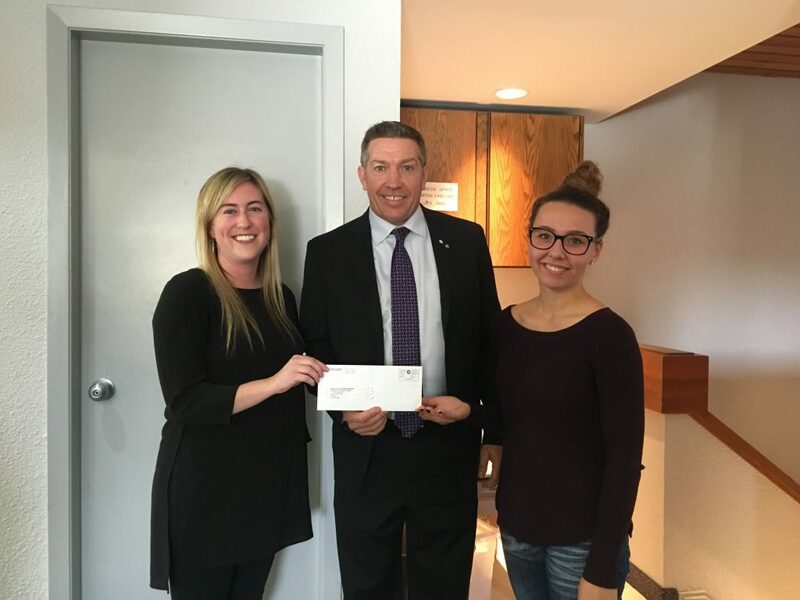 We are pleased to announce the generous support of the TELUS Calgary Community Board and its funding of EFry Calgary’s Youth Legal Advocacy Program. The funding is for one year of the program and will provide resources and support for youth involved in the justice system and courts. Youth without supports are often overwhelmed and confused about the legal processes and options for their charges. The Youth Legal Advocacy Program provides mentorship supports to at-risk youth, and assistance with information and navigation of legal processes. Positive mentorship relationships are important factors in creating resilience and helping youth avoid further recidivism within the criminal justice system. Community leader and author Sheldon Kennedy visited EFry Calgary to present a generous financial gift to EFry. During his visit he learned about EFry’s other programs that are making a difference in our community. Sheldon was able to share his own views on the importance of creating resiliency in youth to contribute to future successes. EFry is very thankful for the support of TELUS Calgary Community Board and for their recognition of our work. This contribution will enable us to continue to support youth in having hopeful futures. The TELUS Calgary Community Board has donated $6.4 million since 205 to 405 grassroots projects, charities and organizations, and we are pleased to celebrate this new partnership with the TELUS Calgary community. Thank you for supporting EFry Calgary and making our community stronger. When: Monday, June 19 5:00 p.m. to 8:00 p.m. Registration is limited; call 403-294- 0737 to secure your spot. Participation supports both Alpha House and EFry Calgary’s Indigenous Programming. Mark Your Calendars… Our Book & Art Sale is Coming Up! Books, art and coffee… is there a better way to spend the weekend? Stop by our first annual book sale this Saturday and Sunday from 10 am to 4 pm at the HUB at West Canadian in Inglewood (1601 9 Avenue SE) and stock up on your summer reading. Books are being sold for $1 to $4 each and all proceeds go towards our SAGE program. 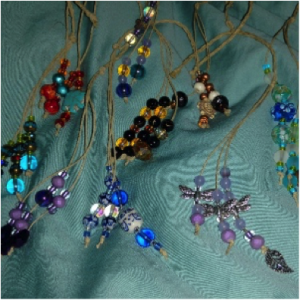 Pre-loved books, client artwork and crafts that celebrate Indigenous culture will be available for sale with all proceeds supporting our SAGE program, helping vulnerable women start again. Join us for more than just books! Our programs help give women a second chance. Your support will help us! Visit our Facebook event for more details and to share with friends. See you this weekend! 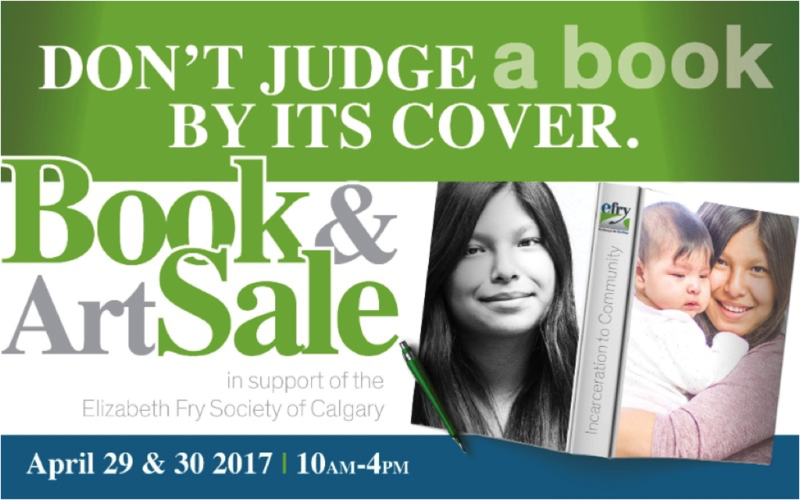 On April 29 and 30, 2017, EFry Calgary is holding its first ever book and art sale at the HUB in the West Canadian building (1601 – 9 Ave SE). Pre-loved books, client artwork and crafts that celebrate Indigenous culture will be available for sale with all funds raised going towards our SAGE program, which helps women transition from incarceration to community by creating better futures through education and employment. We will also have local author readings throughout the day and a coffee bar serving delicious refreshments. For vulnerable women those released from incarceration, there are many barriers that exist that prevent them from securing employment. Through the SAGE program, women are provided with consistent programming supports to assist them throughout their journey to personal success. It also supports vulnerable women who have had challenges in employment and education, empowering them with the skills they need to move forward. Do you have any books that you’d like to donate for the sale? We are looking for fiction, non-fiction cookbooks, children’s books and more (but no textbooks please). Get in touch for drop-off and pick-up details. 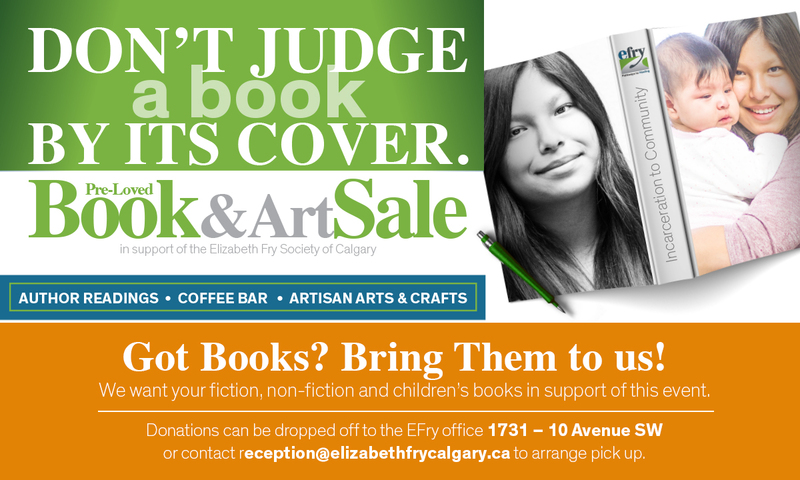 Contact reception@elizabethfrycalgary.ca or call the office at 403-294- 0737. Pick up your summer reading and help us help women in our community!